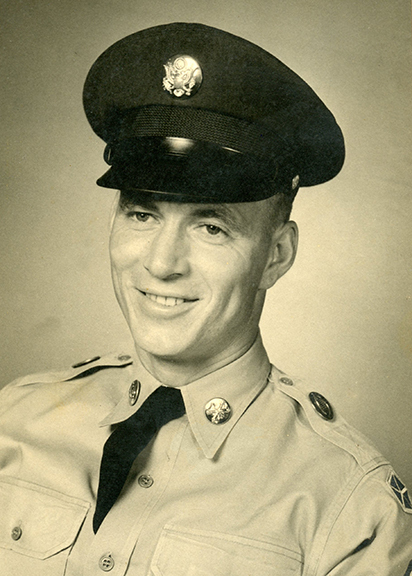 Master Sergeant Earl F. Asher, Retired, 79, of Lumberton, died Sunday, April 7, 2019. He was born on September 20, 1939, in Leon Springs, to Bertha Louise Meyka McMillan Asher and Clarance D. Asher. Earl was a United States Army and United States Air Force Veteran. Survivors include his wife, Pat Asher of Lumberton; children, Larry Asher and his wife, Bonnie, and Michael Asher, all of Lake Charles, Louisiana; and Valerie Jones and her husband, Robert; Paul Asher and his wife, Rhonda; and David Asher, all of Lumberton; brothers, Robert Asher and his wife, Barbara; and Alfred Meyka, all of Vidor; and sister, Bobbie LuDoux of Vidor; eight grandchildren; and nine great-grandchildren. Earl is preceded in death by his parents; and siblings, Jackey Asher, Elizabeth Phillips, and Lloyd Asher. A gathering of Earl’s family and friends will be 5:00 p.m. until 7:00 p.m., Friday, April 12, 2019, at Broussard’s, 490 Cemetery Road, Silsbee. His funeral service will be 1:00 p.m., Saturday, April 13, 2019, at Broussard’s, with his interment to follow at Allison Cemetery, Warren. 5:00 p.m, unti 7:00 p.m.
Do not know if I can even come close to saying everything about this wonderful friend and neighbor for over 35 years.He was a man of God and a caring man.Over the years he has been like a Father to us,a friend and a brother.If I could be one half the man he was it would be wonderful. We are so blessed to know and love him and Pat.LOVE BOTH OF YOU. What a wonderful man! Earl has been my parent's neighbor for many decades. He has been such a Godly example of what it means to be a selfless neighbor, friend, mentor, father-figure, and above all, the hands and feet of Christ to my family. Earl was so dearly loved by many and he will be greatly missed. Thank you, Earl, for loving and living so well! So thankful you are now resting in the loving arms of our Savior! I worked with Earl at Lumberton school for many years. He is one of the finest men I have ever had the pleasure of meeting. Prayers for the family.